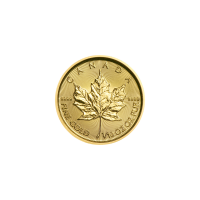 You’ll be assured the lowest rate on the web, when you order your 1/10 oz 2019 Canadian Maple Leaf gold coin from our online shop today. This acclaimed series from Royal Canadian mint features leaves from the familiar national tree of Canada, the Canadian Maple. This year’s breathtaking reverse features a single, high detail Canadian Maple leaf, every vein and nuance brought into crisp relief against a field of micro-engraved, radial lines. 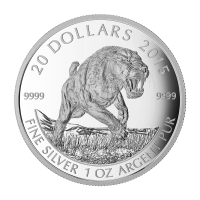 You’ll also find the Canadian legend on the reverse, as well as details of metal content, weight and purity. The obverse feature is a striking portrait of Elizabeth II in profile, also set against a field of light refracting, starburst lines. Also on the obverse, is Elizabeth II’s name, as well as the coin’s year of release and unique face value. The Canadian maple series has been a favourite choice for collectors and investors since its 1979 inception. Take home one of the coin world’s most sought after treasures and enrich your holdings with a 1/10 oz 2019 Canadian maple leaf gold coin today. Vorderseite Abbild von Königin Elisabeth II. und die Worte "Elizabeth II 5 Dollars 2019"
Rückseite Maple Leaf and the words "Canada 9999 Fine Gold 1/10 oz Or Pur 9999"
Abbild von Königin Elisabeth II. 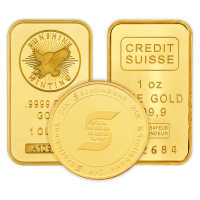 und die Worte "Elizabeth II 5 Dollars 2019"
1/10 oz Goldmünze - kanadisches Ahornblatt - 2019 You’ll be assured the lowest rate on the web, when you order your 1/10 oz 2019 Canadian Maple Leaf gold coin from our online shop today. This acclaimed series from Royal Canadian mint features leaves from the familiar national tree of Canada, the Canadian Maple. This year’s breathtaking reverse features a single, high detail Canadian Maple leaf, every vein and nuance brought into crisp relief against a field of micro-engraved, radial lines. 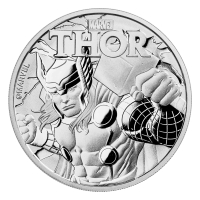 You’ll also find the Canadian legend on the reverse, as well as details of metal content, weight and purity. The obverse feature is a striking portrait of Elizabeth II in profile, also set against a field of light refracting, starburst lines. 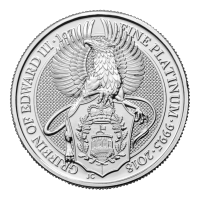 Also on the obverse, is Elizabeth II’s name, as well as the coin’s year of release and unique face value. The Canadian maple series has been a favourite choice for collectors and investors since its 1979 inception. Take home one of the coin world’s most sought after treasures and enrich your holdings with a 1/10 oz 2019 Canadian maple leaf gold coin today.